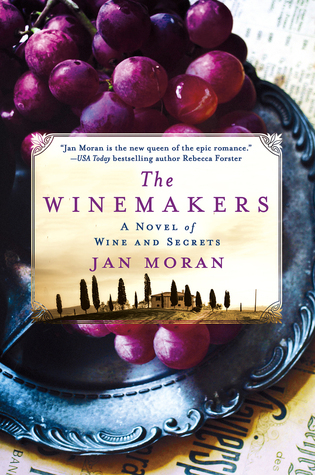 The Winemakers: A Novel of Wine and Secrets by Jan Moran is such an entertaining book. I loved the blurb and the cover and gave it a try and I am so glad I did. The story is fast paced and had me entertained and intrigued throughout. The story explores the relationship between mother and daughter and time shifts between twentieth century and the fifties. Jan's writing style is so realistic and emotionally charged that I was left feeling and experiencing so much and could not keep the book down until I had finished reading it. The suspense and mystery element is kept alive and the settings so beautifully portrayed that I felt I was actually there. Although I don't drink, I enjoyed reading about wine and experiencing the winemaking while also solving a murder and uncovering secrets. All in all, The Winemakers: A Novel of Wine and Secrets is a thorough entertainer and I had a swell time reading it. 4.5 out of 5 to it and recommended to everyone.